EXTRA LARGE COMBO UNIT! 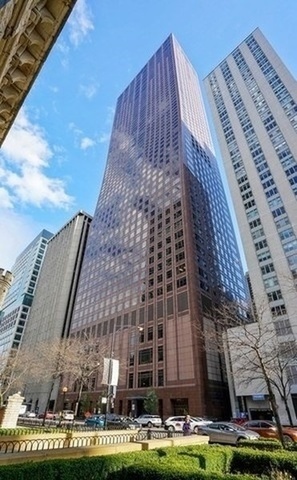 Rare high floor "B" unit combined with portion of "C" unit to create 2610 sqft. The most desirable southeast corner has UNOBSTRUCTED panoramic views of skyline, lake, and Navy Pier. Home was complete gut rehabbed by Chip Von Weise to create custom floor-plan with white oak flooring and walls with stacked wood slats and glass. Sprawling living space with tons of room for entertaining has sunlight streaming in from a large bank of south facing windows. Open kitchen with Boffi cabinetry and top of the line appliances like Subzero, Gaggenau, Miele, and Viking. Home was originally a 3 bedroom floor-plan. Master suite with views of the lake and Navy pier has spacious master bath with walk in shower and sauna. Oversized 2nd bedroom is larger than most master beds and has closet the size of a bedroom! All of this in one of the top buildings in Chicago -Olympia Centre.